WABF focus includes networking opportunities that feature world-class speakers, advice and surgeries that offer direct signposting for immediate results and professional development support at multiple levels. Dr Munira knows this personally as the principal GP of Sheerwater Health Centre and a truly active and caring member of our community. Good food, good company – to your health! Anne Milton MP Minister for Public Health was our keynote speaker. Anne worked for the NHS for 25 years with association to the Royal College of Nursing, and as a close associate of the National Childbirth Trust. Anne chose to address us on the important issue of organ donation. She brought to our attention the statistics that showed that the Asian community is a disproportionally high user of donated organs, while there are not as many Asian donors as would be expected from the level of population. She told us the wonderfully uplifting story of a child whose parents allowed her organs to be donated after her death. Although this family had lost their own child they were comforted to know that, as a result of their decision, five people in need of donated organs were given the chance of a new life. Fortunately in advance of the event a number of people produced research showing that there are no religious restrictions to becoming an organ donor. Indeed we were thrilled that more than 20 people signed up on the night to add their names to the database to become organ donors, which Anne Milton said was an amazingly high number from one event. WABF hopes that many more members of the Asian community are motivated to become donors as a result of wider understanding of the issues. Both speakers brought a wealth of health experience to the event. Statistics alone will never motivate people to take more of an active role in their health and wellbeing, but having a vested interest – one that is easy to understand, simple to follow and has positive results for individuals and their loved ones is the key. None of it is simply wishful thinking. It’s all based on small steps that make a great difference. Anne says “health is everyone’s business” and Andy not only echoed that sentiment, he was quick to point out that “wellbeing is remarkably easy to achieve for most of us – what we really need to do is want it!” Additionally Dr Munira Mohamed is a highly trusted GP, familiar to many as she is very involved in community events and activities. 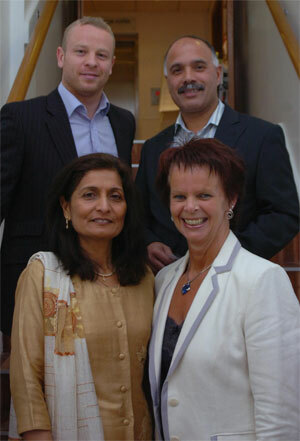 Top row: Andy Bowness Founder and Chief Exec of Box Genesis Ltd and Shahid Azeem, Chairman WABF. Front row: Dr Munira Mohamed GP, WABF Board Director and health lead and Anne Milton MP, Minister for Public Health. 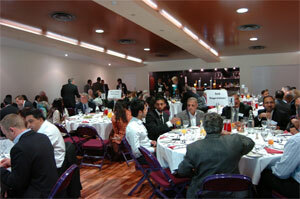 WABF networking events, the importance of the message was given in an encouraging and inspiring way. WABF Board Members hosted the event that was so generously supported by our Members and so many others from all corners of our community. On 15th September is our AGM. Members please put this in your diary and plan on attending. On 17th September WABF will be participating in Eid in the Park Festivities at Woking Park; we will again be using the opportunity to focus on health in the community. At this writing 6th October is another Networking Event date. Not to be missed! Watch out for details here.